DCUC Wave 18: Or, what does it take for a '70s Interracial Sterotype to get a full costume around here? It’s been quite a while since I had a chance to review a wave of Mattel’s DC Universe Classics line. This is mainly due to my decision to skip Wave 17, the Deputy Lanterns wave, and wait for Wave 18 to come around. I’ve had my photos of this wave done for awhile but have been distracted by other pieces and real life events, so I’m just now getting around to doing my review of DC Universe Wave 18. In the same way that the Wave 17 line-up held no interest for me due to the “flash-in-the-pan” nature of the character designs, the choices for Wave 18 were controversial for some collectors. 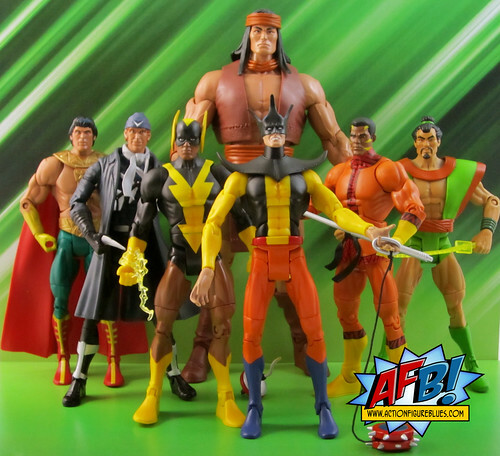 The majority of these characters originated in the Super Friends cartoon from the 1970’s, which is a touchy subject for some collectors who feel that these characters aren’t comics-based enough to justify a spot in a “Classics” line. 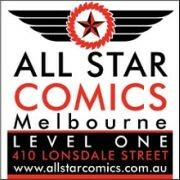 I am in the other camp, as it was the Super Friends series that lit the flame of interest in the DC Universe that has lasted all of these years. These characters have a special place in my childhood memories, and so I am delighted to have the chance to own them in this form. There are two characters in this wave who don’t match the Super Friends set, and I’ll start with those, as they represent the high point and the low point of the wave for me. Bronze Tiger is a fantastic addition to the DCUC line. I’m not sure how he managed to secure a spot in the series, but I’m very glad he did. Bronze Tiger is rich with accessories and pack-ins. For starters, he has an additional head so that he can be displayed either in his classic Tiger Mask or, for Suicide Squad fans, his unmasked Ben Turner version. Both of these headsculpts are very well done – the tiger mask head is beautifully sculpted. In addition, Bronze Tiger comes with two weapons – a staff and a sword. He can hold both of these easily – not something that can be taken for granted with the DCUC figures. All of these factors combine to make Bronze Tiger the figure of the wave for me. On the other end, Captain Boomerang represents one of the biggest missed opportunities of the line to date. A classic Digger Harkness would have complimented Bronze Tiger beautifully and added both to the classic gallery of Flash Rogues and the Suicide Squad collection. Instead, we’re given the Brightest Day Captain Boomerang, with a limited number of appearances and little relevance to anyone but Geoff Johns. Le sigh! For what it is, this is a fine figure. The headsculpt is captures Digger’s Brightest Day look quite well, and his trenchcoat and scarf are very nicely sculpted. He comes with one boomerang accessory which isn’t very sturdy, in fact mine bent getting it out of the packaging, making Captain Boomerang a little less deadly. Here’s hoping that a classic version is still a possibility - it would make a great addition to the Club Infinite Earths Subscription! Now on to the Super Friends related figures, and I have to say each one of these is a real treat. Toyman is my favourite of the bunch. This partly because the character has the longest comic book pedigree of the bunch, and partly because I really most aspect of this piece. His headsculpt is excellent and spot-on for the look that they were trying to capture. 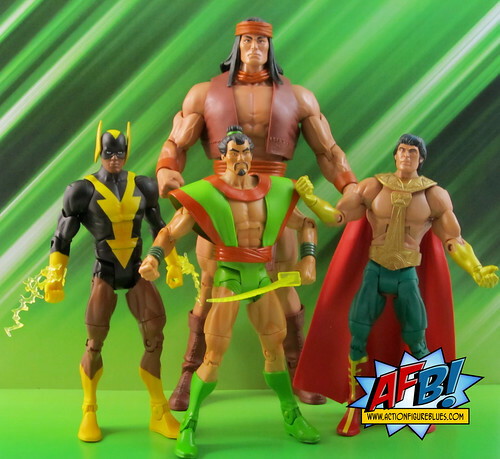 The one thing I would have like to have seen done differently would have been the use of a slightly thinner buck - perhaps Deadman style - Toyman was never this buff! Toyman comes with some great accessories - a large spinning top which he can hold on a short flexible handle, and an oversized yo-yo with working string. I haven’t had much luck posing him with the yo-yo without the figure being on a stand, as its weight and his rather weak ankle joints combine to pull him over. I normally don’t like giving up display space for stands, but these accessories are worth it. A great touch! Moving on to the second half of the assortment, we’re now looking at the set of characters that were created specifically by Hanna-Barbera for the Super Friends cartoon. Black Vulcan is a representation of what might have been had the powers that be been prepared to foot the bill for the use of Black Lightning in Super Friends. As well as being an established comic book character, Black Lightning had another big advantage on this guy - long pants. Black Vulcan actually had long pants at one point in the SF cartoon, but generally appeared in the black speedos we see him wearing in the DCUC version. Fashion choices aside, this is a fine figure, but the headsculpt isn’t 100%. As well as having a really bland facial expression, the “wings” on the side of his head are on the large side - and let’s face it - the poor guy doesn’t need any help looking silly. The one thing I do really like about this figure is the lightning blasts that snap on to his wrist. Hasbro has made good use of these sort of constructs in its Marvel Universe line, and I’d love to see Mattel use more of these in the future. This figure is a very faithful rendition of what all remember and either love or loathe about Samurai. His vest is nicely sculpted, with little creases to add detail. He also has a sword as an accessory. His headsculpt is very well done - the best of all of the Super Friends characters. El Dorado may have had the least amount of screen time of this set of Super Friends characters, but at least he got pants. Of course, he had to give up his shirt to get them, but hey, them’s the breaks in the '70s token interracial superhero game. This particular character rates the lowest in my personal care factor stakes, but for what he is, he’s well done. His belt and harness is a separate piece with nice detail, and it’s clearly where most of the tooling went for this figure, since his gloves are just painted on. 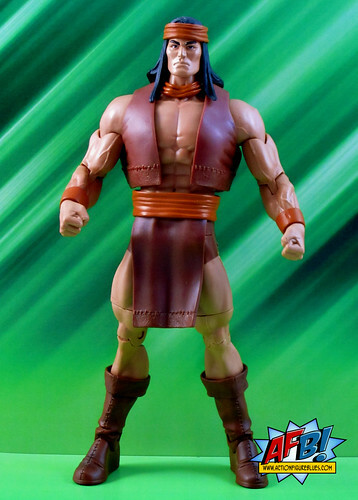 The Collect and Connect figure for this wave is Apache Chief, the last of the Super Friends characters. While this uses the standard CnC buck, it has some nice custom elements that work to good effect. His headsculpt is excellent, and the sculpted stitching on his vest and loincloth is a very nice touch, and his boots are also very nicely detailed. This completes the Super Friends set, and hopefully has scratched this particular itch for Mattel so that we can move on to other groups of characters. There aren’t many more waves of DCUC left to review before we move to different retail distribution and Club Infinite Earths. While these figures meet some sentimental needs for some collectors, we are still waiting for this line to fulfil its promise in terms of delivering the world of characters we’d hoped for. For me, the Super Friends characters aren’t what I had in mind when I imagined where the line would go. I’m going to enjoy these figures, but they don’t make the collection feel complete by any means. Here’s hoping! You can see more pics at Facebook, discuss this at the AFB Forum, and you can comment on this post to enter the October AFB Comment of the Month Contest! This was a pretty decent wave and i love all the Super Friends. I would of omitted Cap Boomer and Tiger for maybe some other figs that would of tied in better with the Super Powers ones. Worth it for Apache Chief alone! I looked at these a lot this week week. 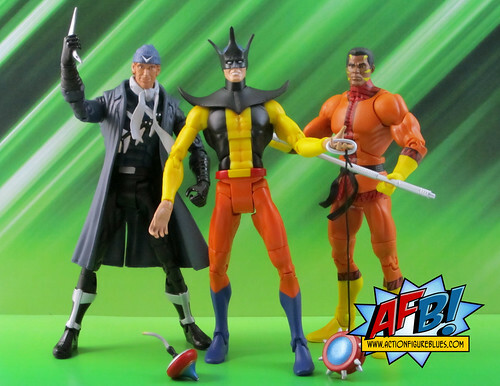 I thought Captain Boomerang was a cool addition and Toyman looked fantastic. I tend to like the characters created for the Super Friends series. To me they're just part of the gang. Bowen belts out a superb Banshee! Masters of the Universe Classics gives AFB Crabs! AFB Asks Matty for October 1 2011! The AFB Comment Contest for October 2011!